In its 10th year of expedition cruising, industry-leading Silversea Cruises is continuing to unlock a broad range of deep travel experiences for guests. From the cool conditions of Antarctica to the warm climates of Australia and beyond, Silversea’s guests will explore over 900 destinations in 2019—more than any other cruise line. Standout experiences include a recent trip to the isolated waters of the 66th parallel south and a number of upcoming voyages in the spectacular Kimberley region. Until 28 February, Silversea is offering guests an additional saving of AUD$350 per person, based on double occupancy, on select Kimberley voyages. Single supplements from only 125% are also available on select voyages. On 13 January, Silversea’s Silver Cloud journeyed to the 66th parallel south, crossing into the Antarctic Circle, the first time the ship has ventured so far south. Guests were rewarded with a special ‘Red Nose’ ceremony on the pool deck, and shortly after, a record 98 guests celebrated with a polar plunge, followed by informative lectures and trivia games. Guests even spotted humpback whales as the ship sailed northward, rounding off a successful day. Cruising in a distinctly different ecosystem to that of Silver Cloud, Silver Discoverer will enable guests to explore Australia’s Kimberley Coast throughout 2019, showcasing the destination’s beautiful landscapes, remarkable wildlife, and fascinating aboriginal history, among other alluring features. Offering truly immersive experiences in the region, Silversea guests will journey to the King George Falls by Zodiac®, getting close enough to feel the spray from the 80m twin cascades; witness Aboriginal rock art dating back more than 50,000 years; and spot spectacular wildlife, including the saltwater crocodile, rare bird species, and various reptiles. Many other memorable experiences will ensure a once-in-a-lifetime voyage. Broome (Kimberley) to Darwin – Leaving Broome in the Kimberley Region on 15 April 2019, Silver Discoverer will showcase the very best of the Kimberley Coast on this 10-day voyage to Darwin. Guests will first explore the beauty of the Buccaneer Archipelago Region on an overnight stop, before cruising to the Hunter River Region for another overnight call. Next, Silver Discoverer will set her course for the King George River, Wyndham, and Saumlaki in Indonesia, before arriving in Darwin on 25 April. Fares start from AUD$10,500* per person, based on double occupancy in an explorer suite. An additional saving of AUD$350* per person is also available until 28th February, based on double occupancy. A last-minute savings offer also applies, offering guests US$1,000 shipboard credit per suite and a one category suite upgrade*. 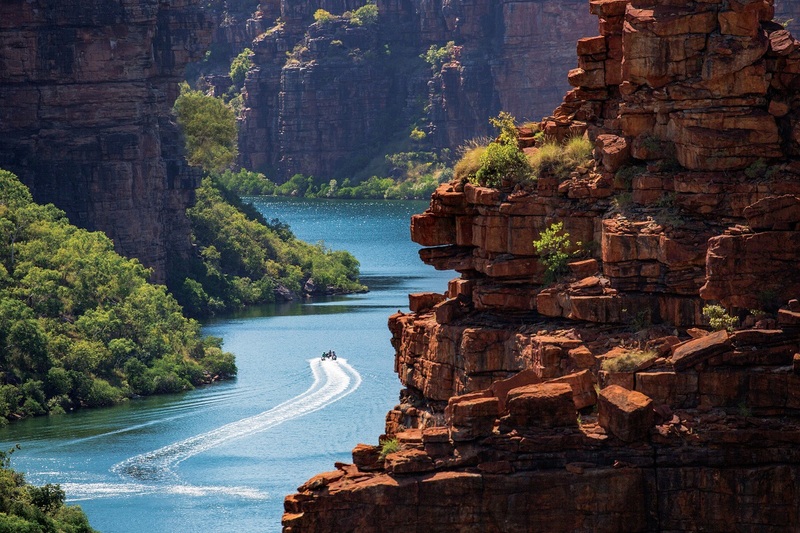 Darwin to Broome (Kimberley) – Departing 25 April 2019, Silver Discoverer will once again unlock the highlights of the Kimberley Coast on this 10-day voyage. From Darwin, guests will witness the natural beauty of Saumlaki in Indonesia, before journeying to Australia’s Wyndham, the King George River, the Hunter River region, and the Buccaneer Archipelago region, ahead of arriving in Broome. As well as majestic sunsets and captivating wildlife, guests will witness the impressive Bungle Bungle Range and the Kimberley’s Aboriginal rock art, among other unforgettable highlights. Fares start from AUD$10,500* per person, based on double occupancy in an explorer suite. An additional saving of AUD$350* per person is also available until 28th February, based on double occupancy. A last-minute savings offer also applies, offering guests US$1,000 shipboard credit per suite and a one category suite upgrade*. Broome (Kimberley) to Darwin – From 5 May 2019, Silver Discoverer will call at the same destinations once more, as she cruises from Broome to Darwin, immersing Silversea’s guests in the region’s natural beauty. During this 10-day voyage, guests will travel deeper into the Kimberley Region, creating rich memories and experiencing truly unforgettable moments. Fares start from AUD$10,500* per person, based on double occupancy in an explorer suite. An additional saving of AUD$350* per person is also available until 28th February, based on double occupancy. A last-minute savings offer also applies, offering guests US$1,000 shipboard credit per suite and a one category suite upgrade*. Broome (Kimberley) to Darwin – Silver Discoverer will then journey between the same captivating destinations once more, from 25 May 2019. From Broome in the Kimberley, guests will enjoy an overnight in the Buccaneer Archipelago Region and an overnight in the Hunter River Region, before discovering the beauty of King George River, Wyndham, and Saumlaki in Indonesia, prior to arriving in Darwin. Fares start from AUD$10,500* per person, based on double occupancy in an explorer suite. An additional saving of AUD$350* per person is also available until 28th February, based on double occupancy. Aboard Silver Discoverer, as on all other ships in Silversea’s fleet, guests enjoy ocean-view suites, sumptuous cuisine, and the personalised service of a butler. Enriching the experience are such all-inclusive amenities as complimentary premium wines and spirits, speciality coffees, bottled water, juices and soft drinks served throughout the ship; an in-suite bar, stocked with guests' preferences; in-suite 24-hour dining; and unlimited complimentary Wi-Fi. *Voyages and special offers are subject to change and may be withdrawn at any time. Terms and conditions apply. For more information on Silversea, contact your travel professional or Silversea Cruises on +61 2 9255 0600 or 0800 701 427 (New Zealand) or visit www.silversea.com.